Join us for lunch every day of the week. 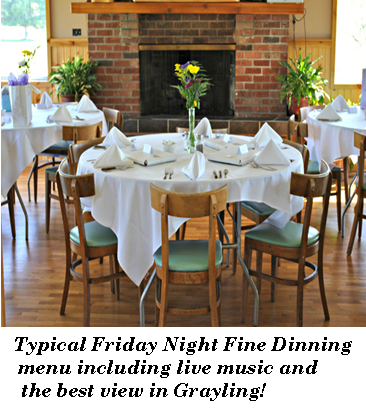 Fine dining on Friday nights with a special menu that is sure to please. We also host & cater all events, from weddings, to business meetings. Contact us for details and to reserve your date. Friday Night Menu Sample - Our Friday night menu will change weekly but here is an example of what you would expect to see.